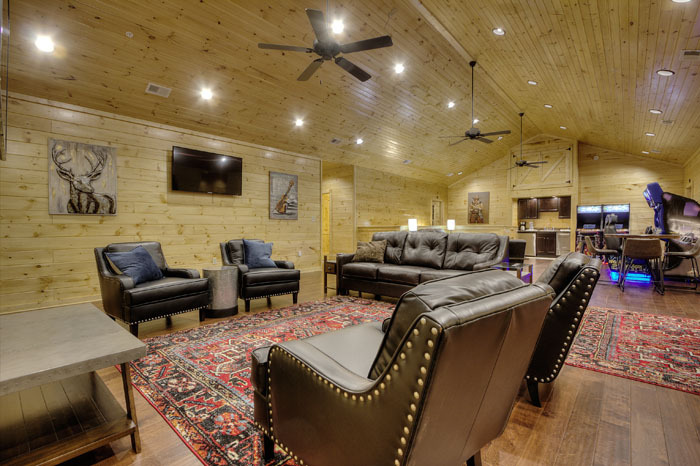 Have you ever wanted to stay in a mansion but never liked the price? 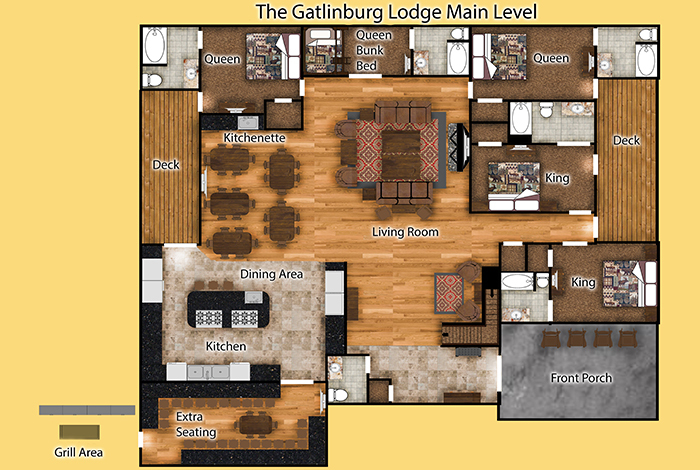 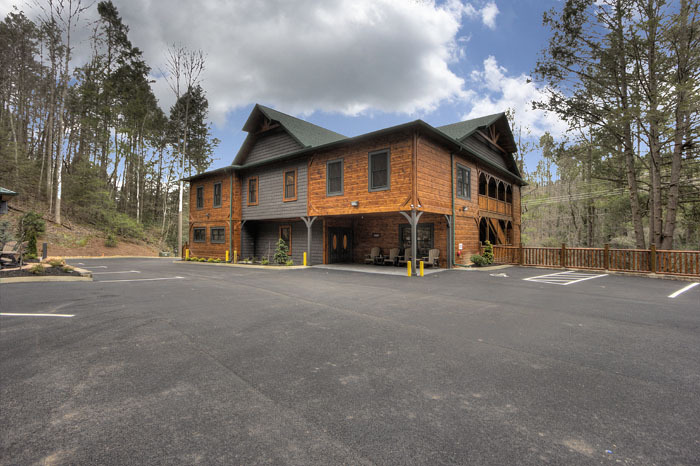 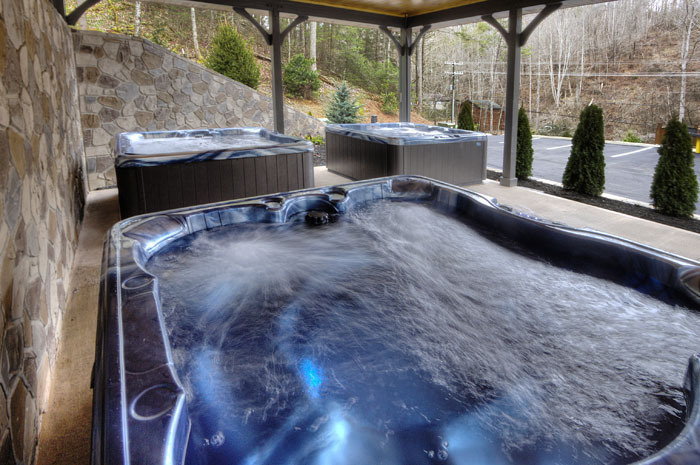 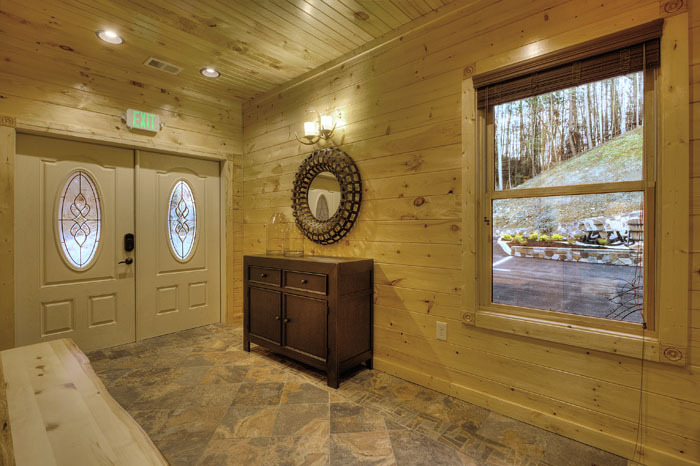 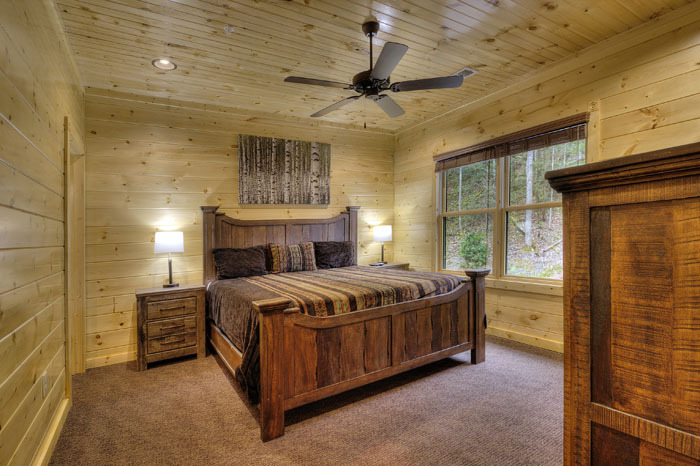 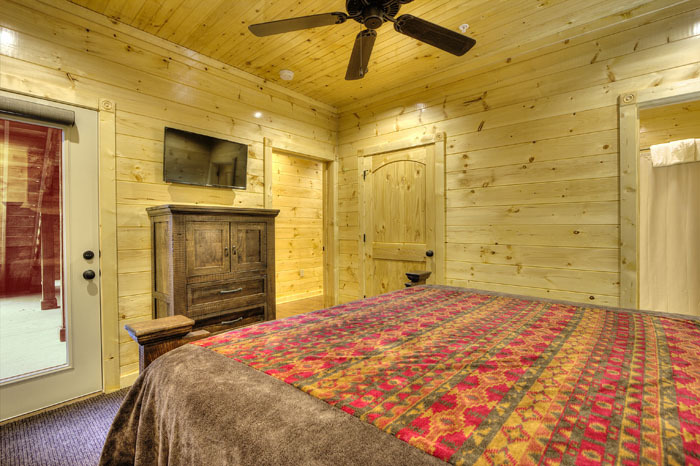 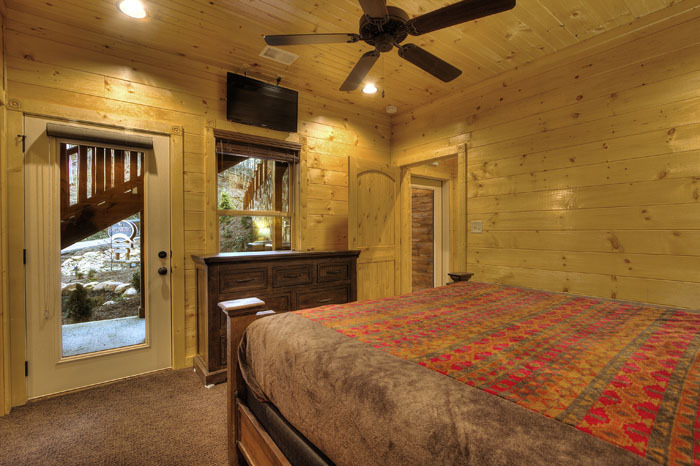 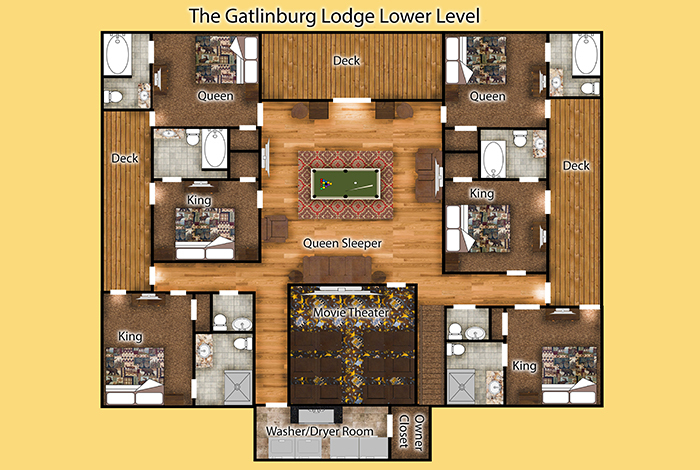 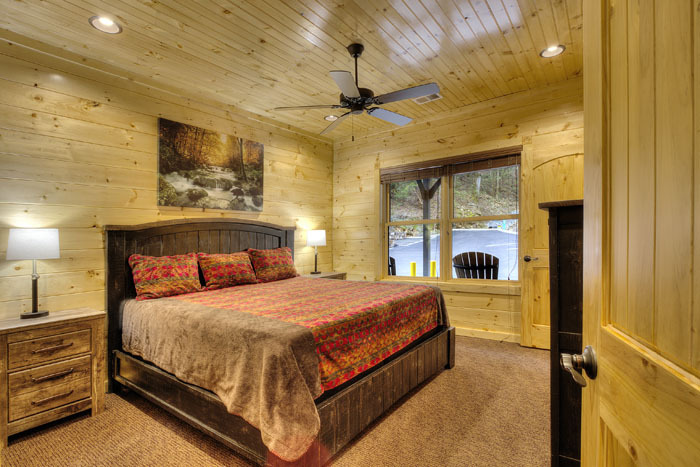 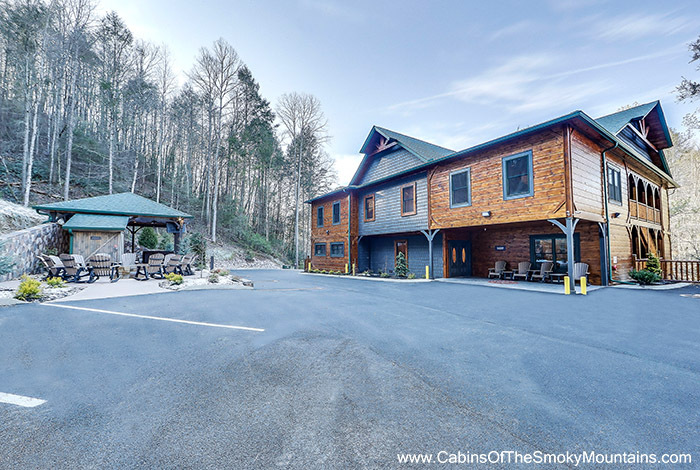 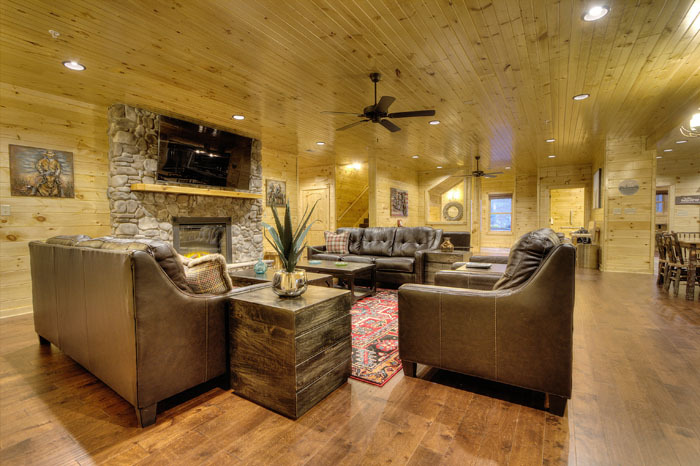 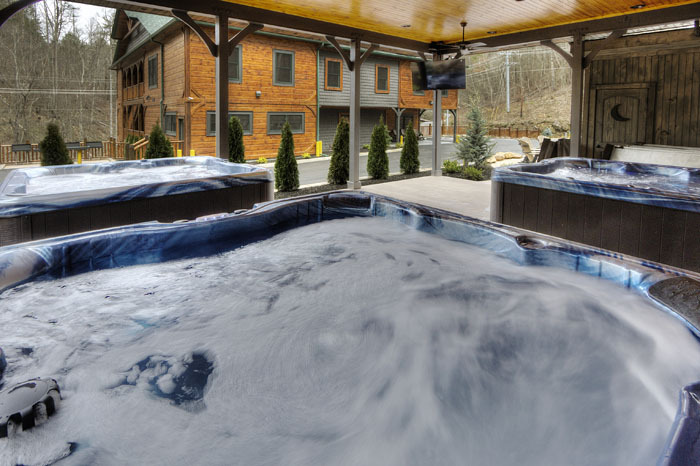 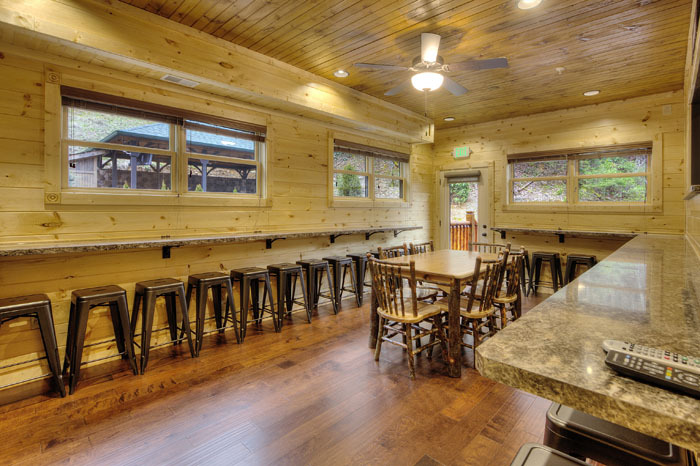 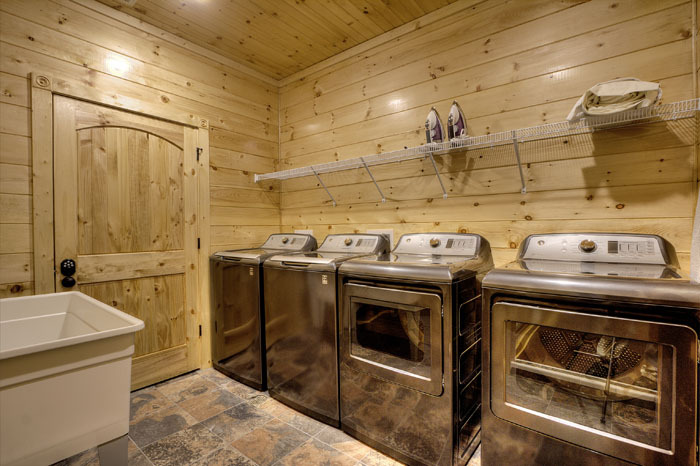 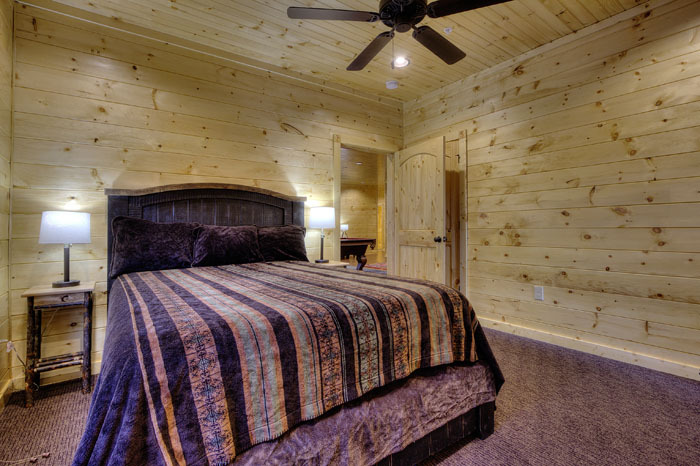 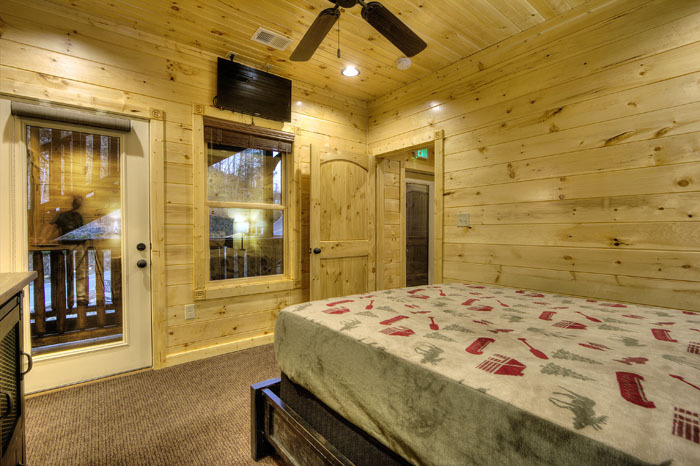 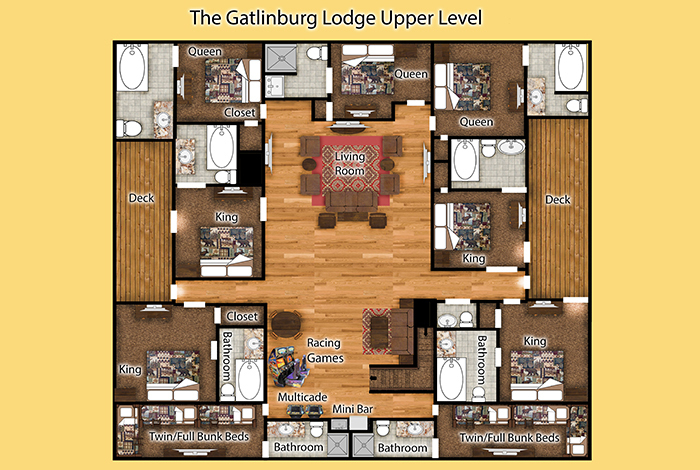 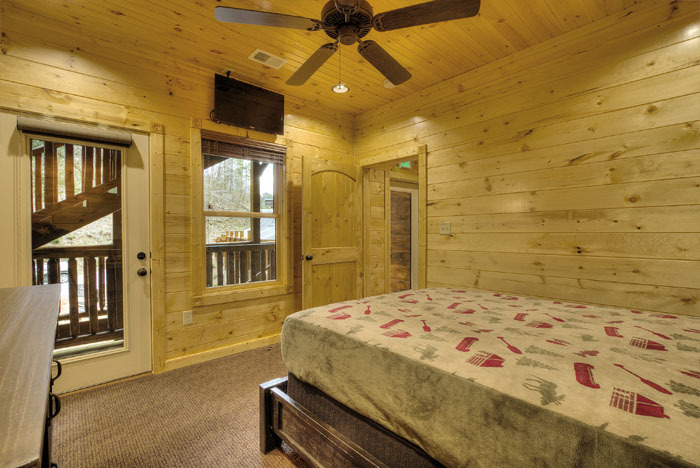 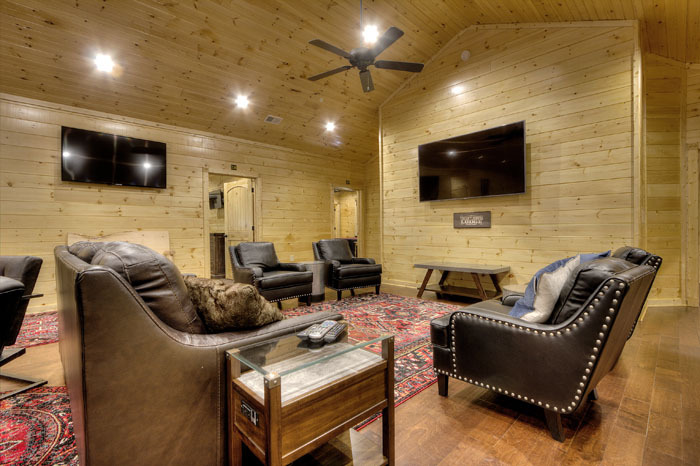 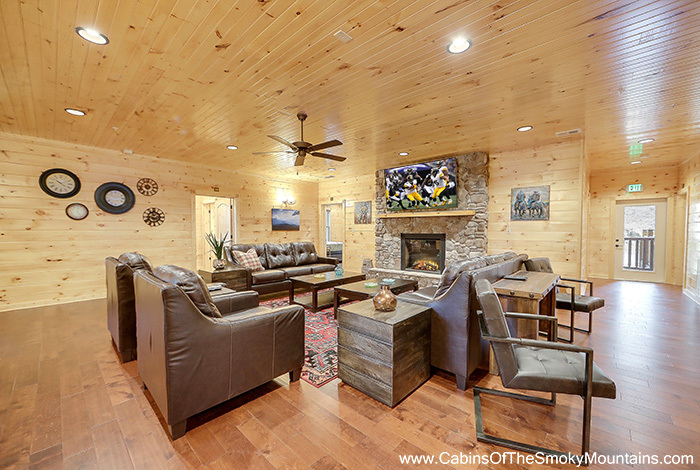 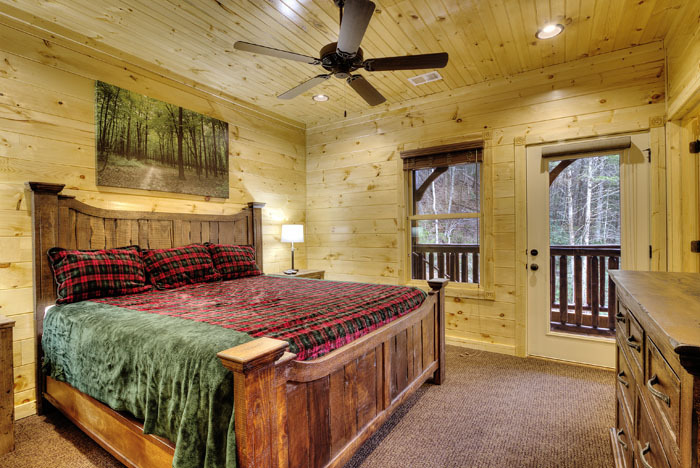 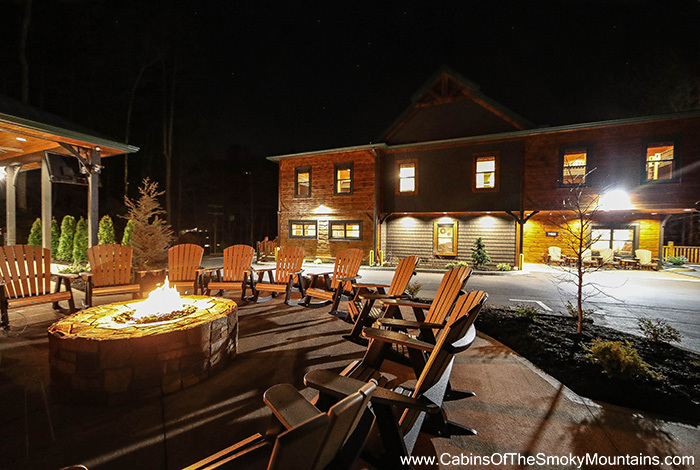 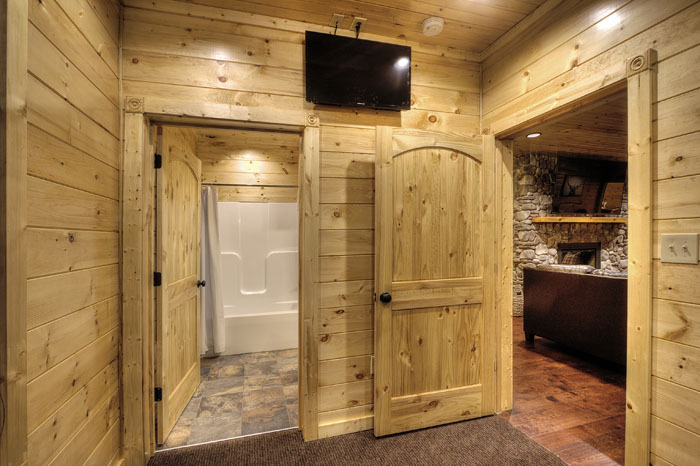 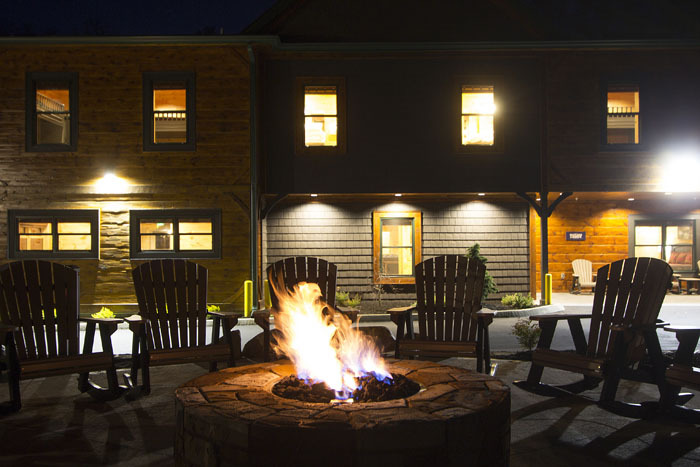 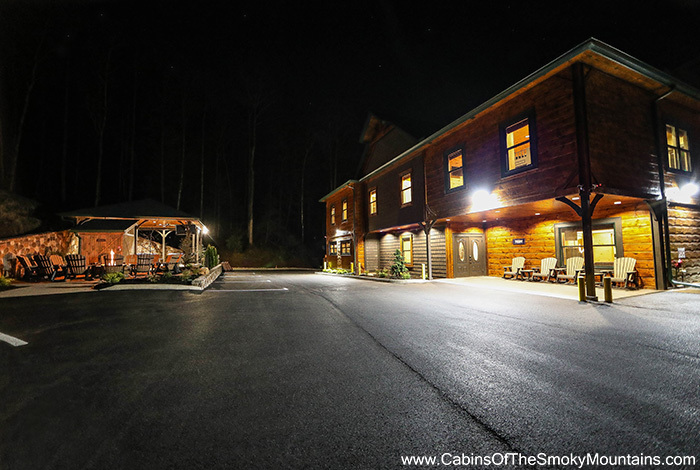 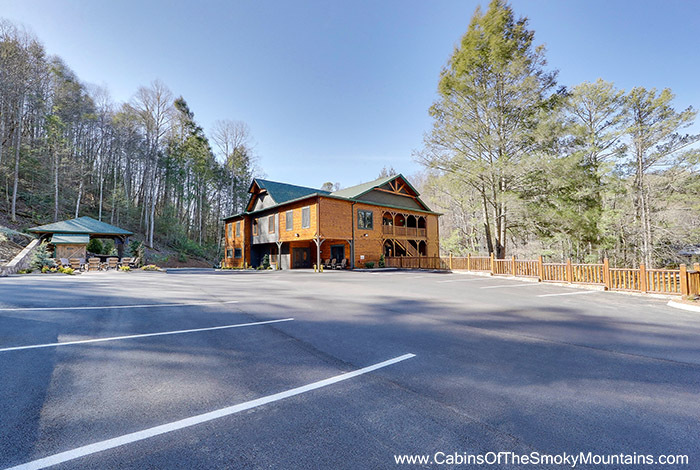 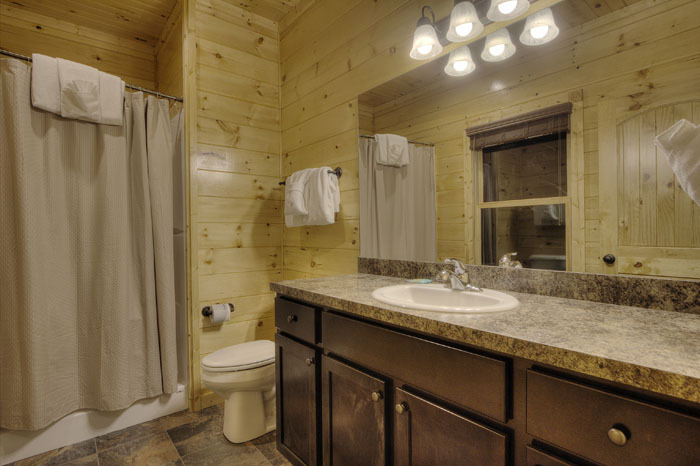 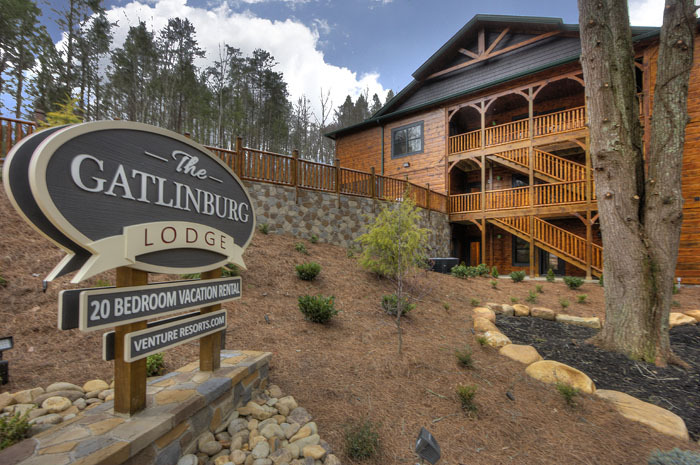 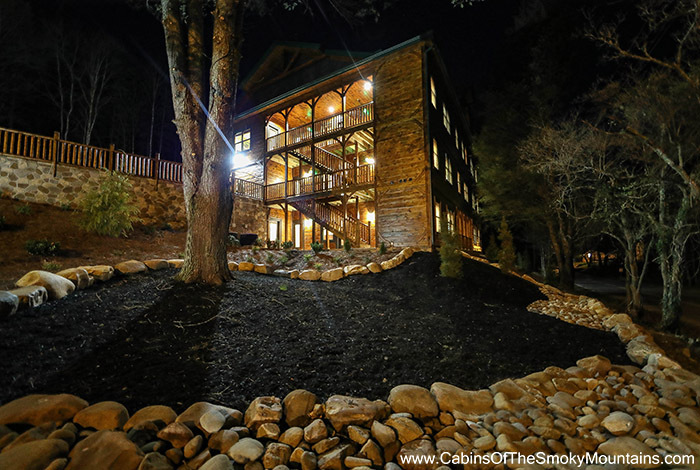 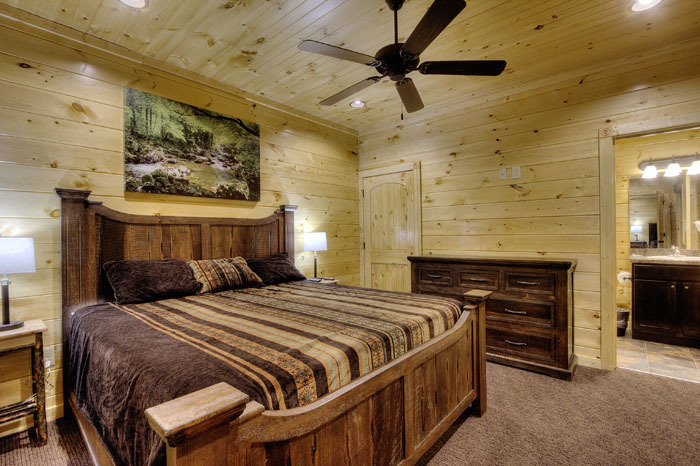 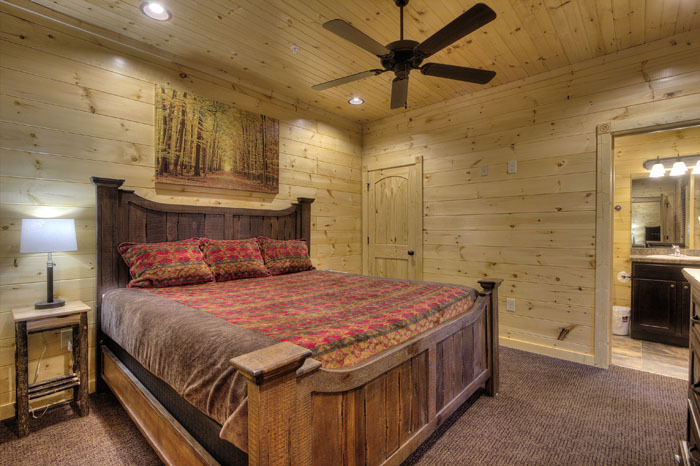 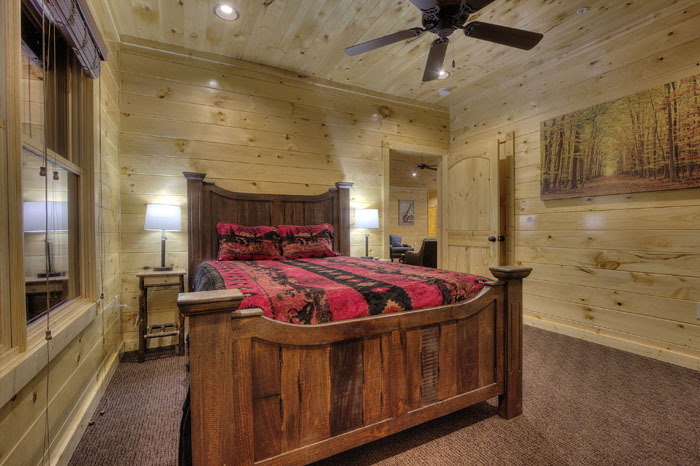 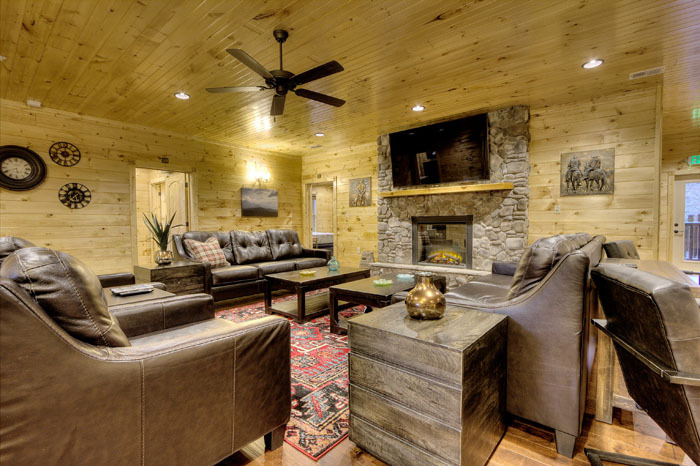 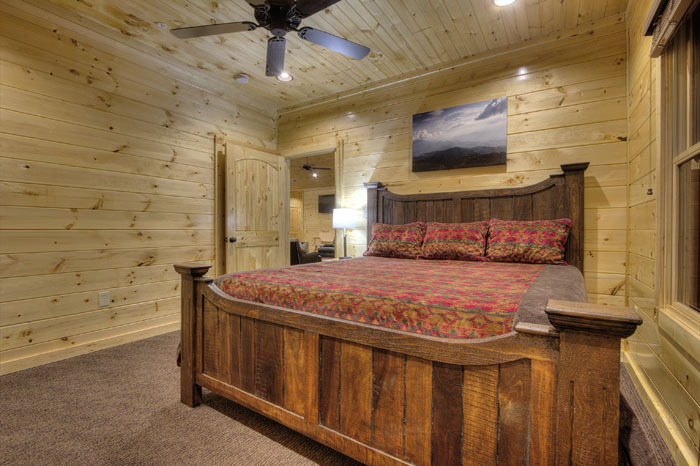 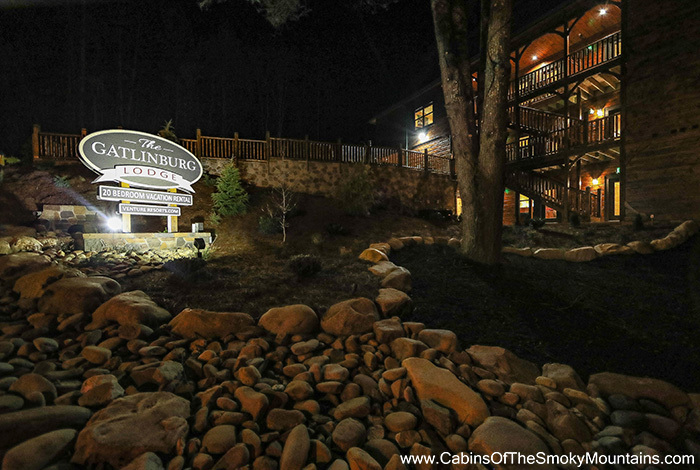 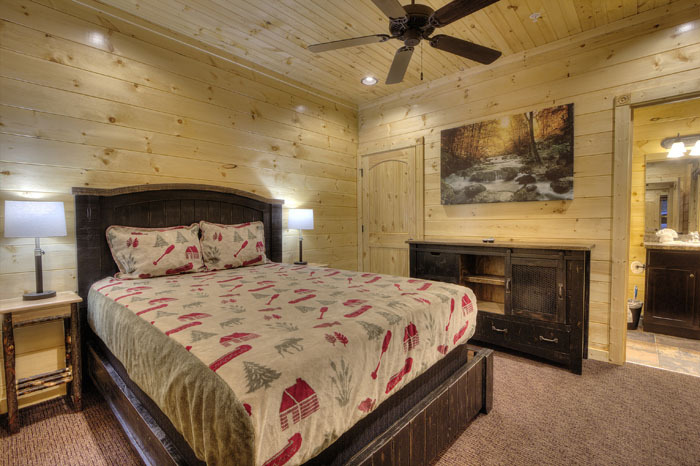 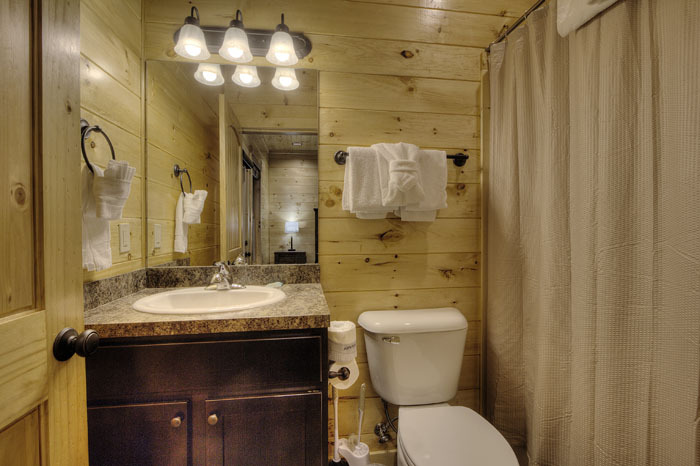 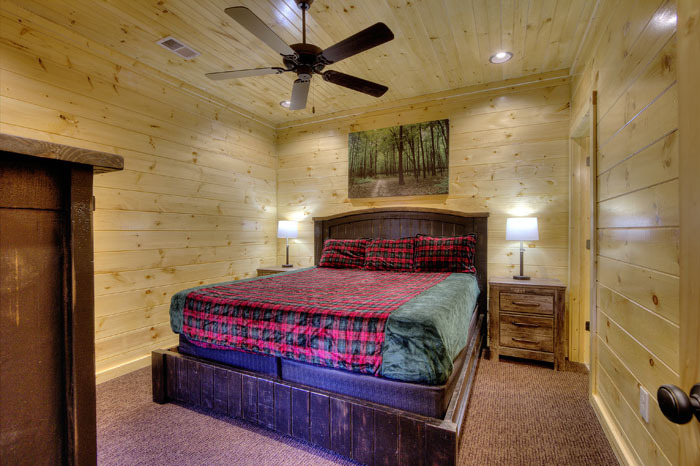 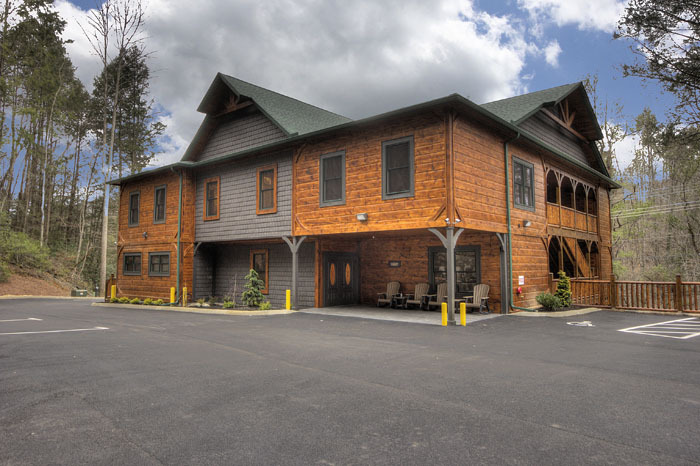 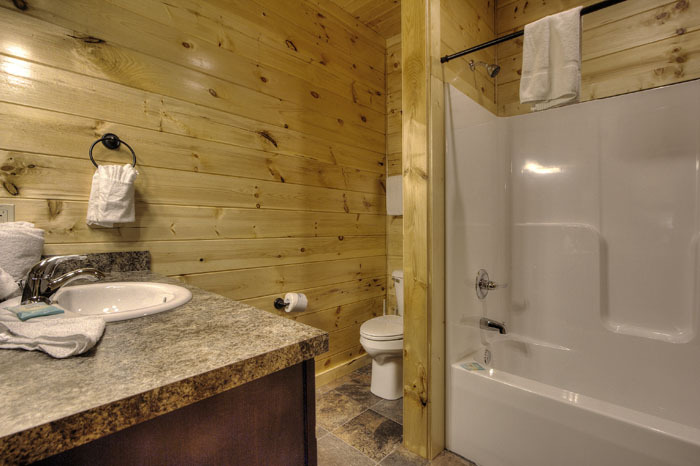 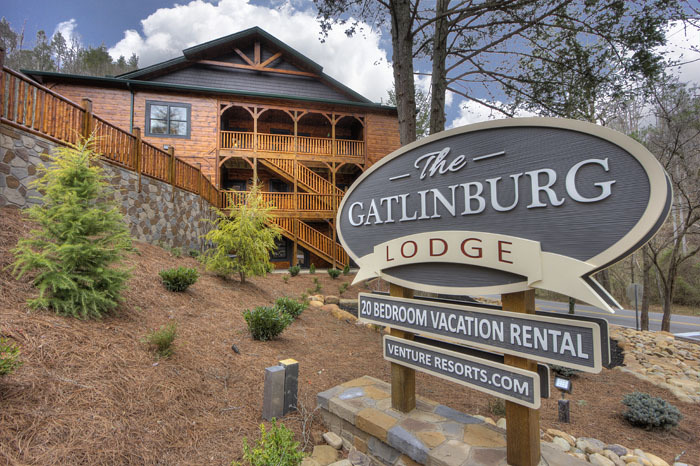 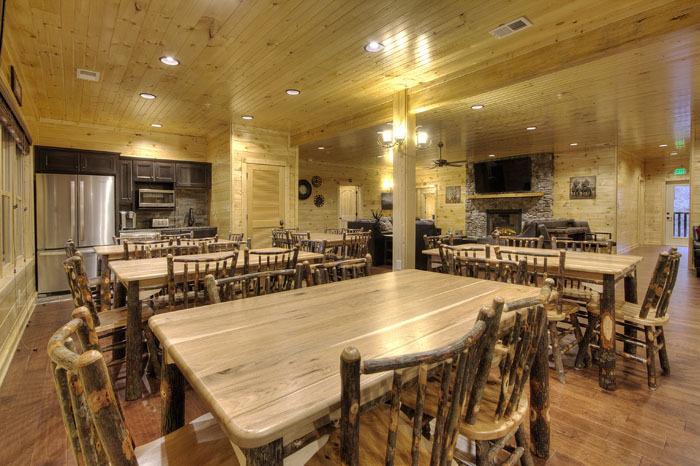 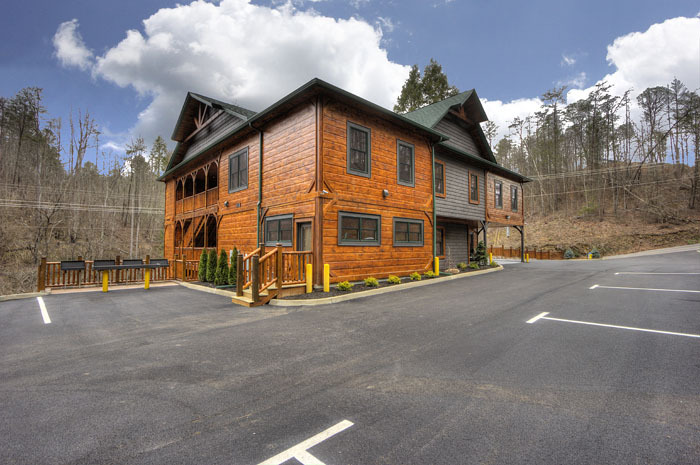 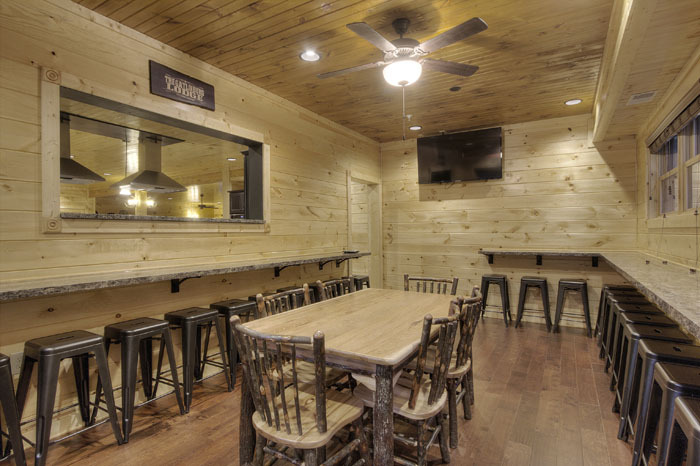 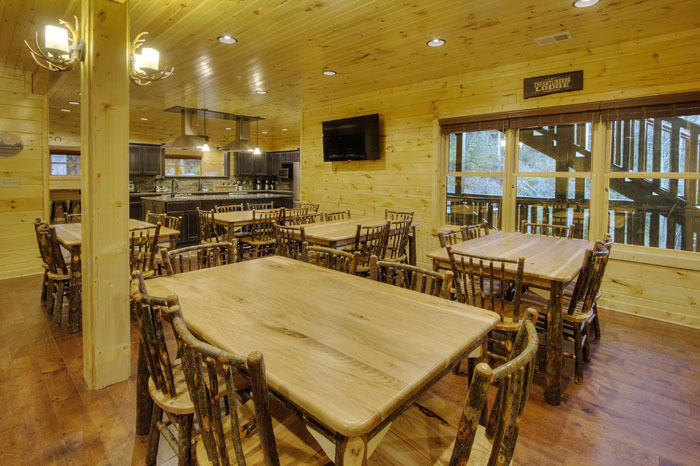 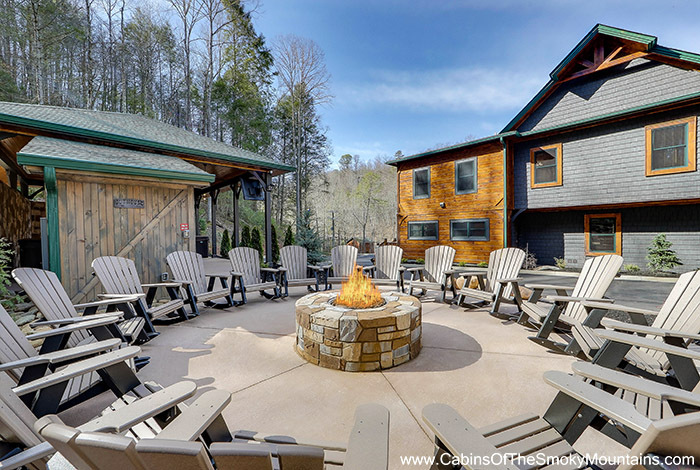 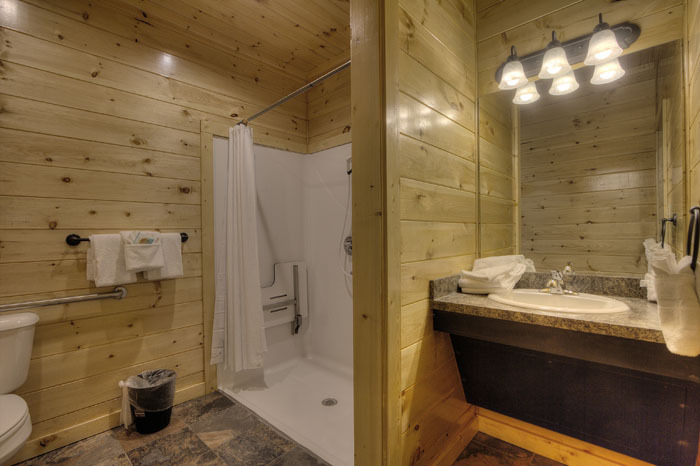 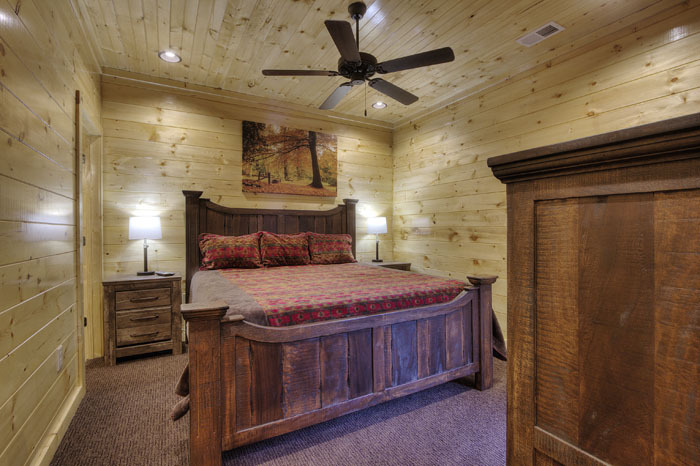 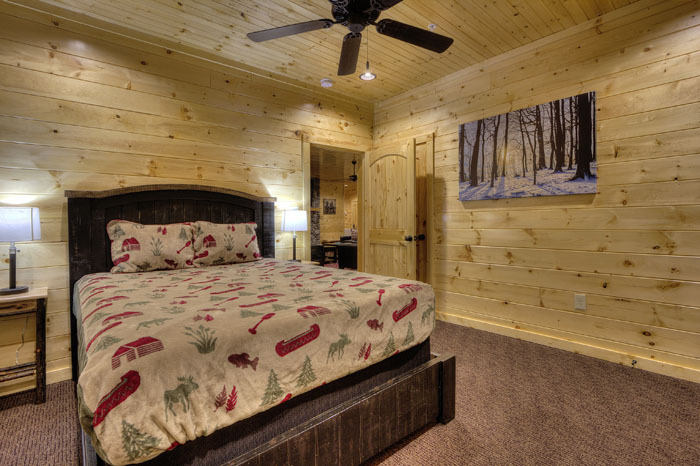 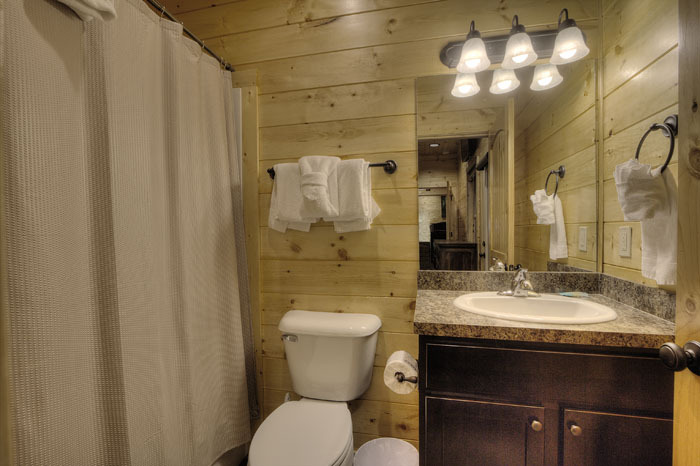 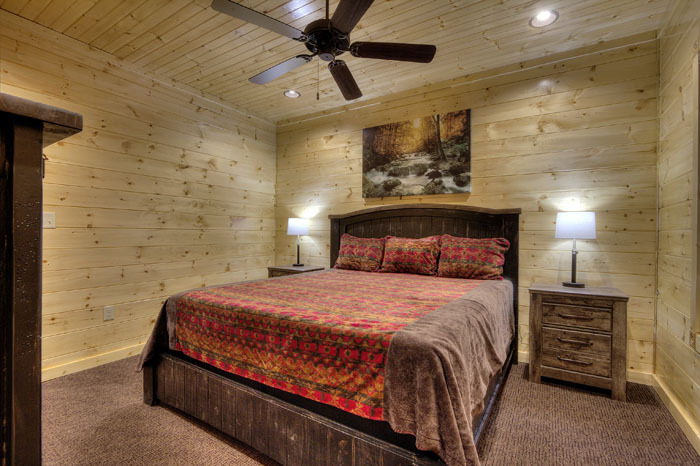 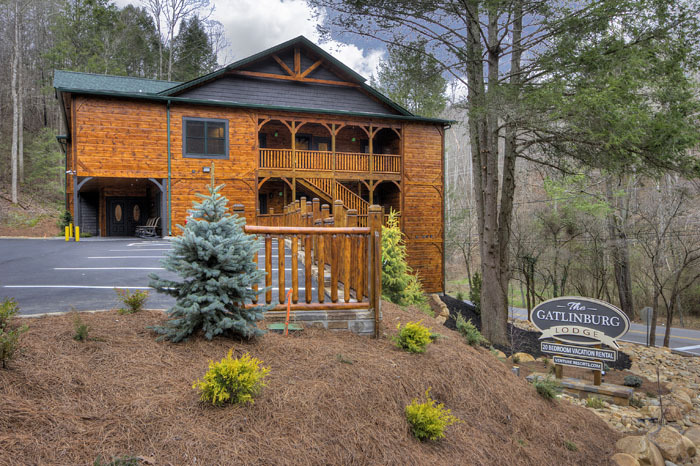 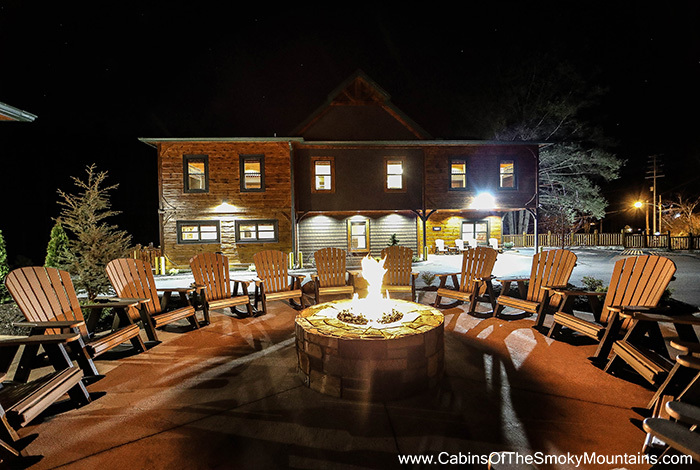 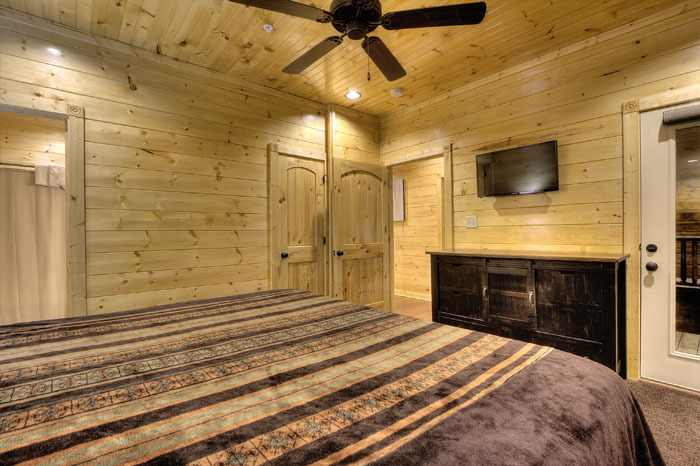 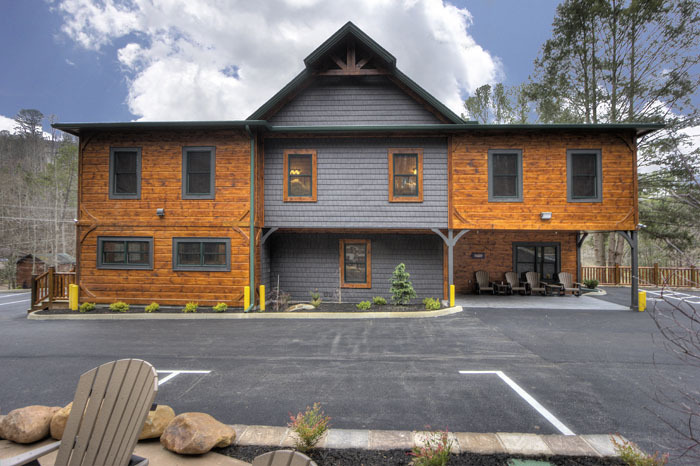 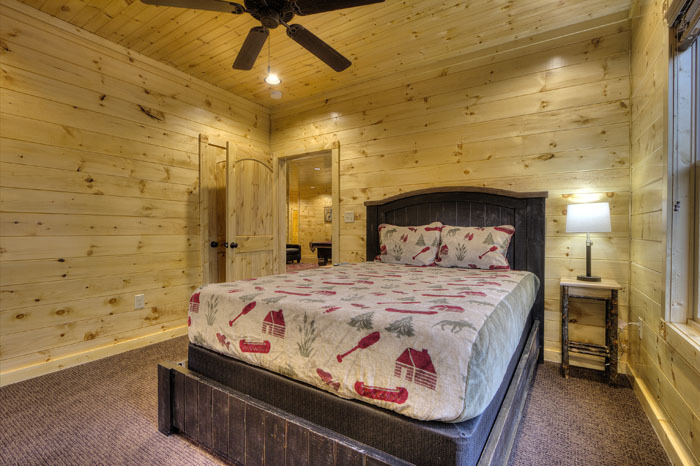 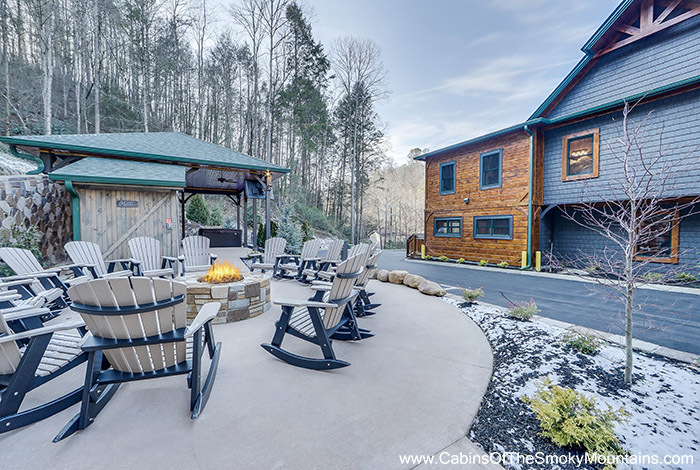 The Gatlinburg Lodge is a cabin mansion that is affordable for all your family get togethers! 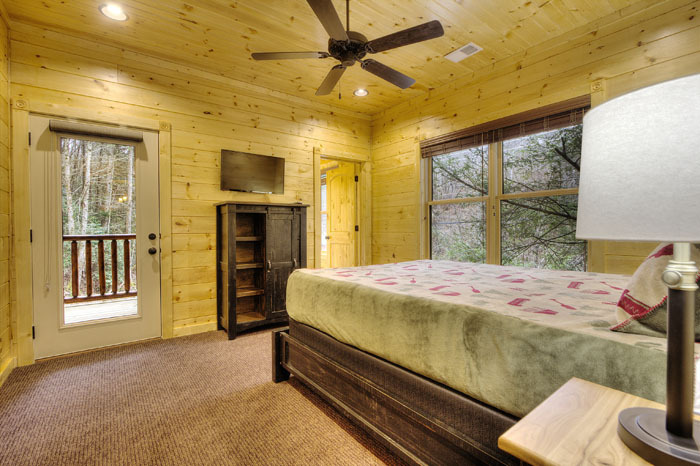 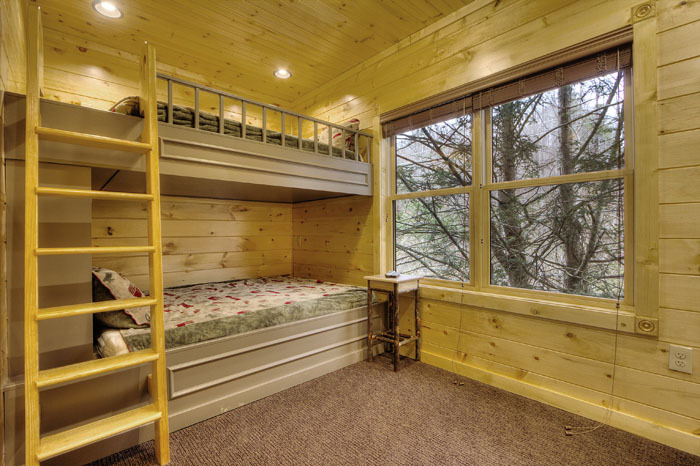 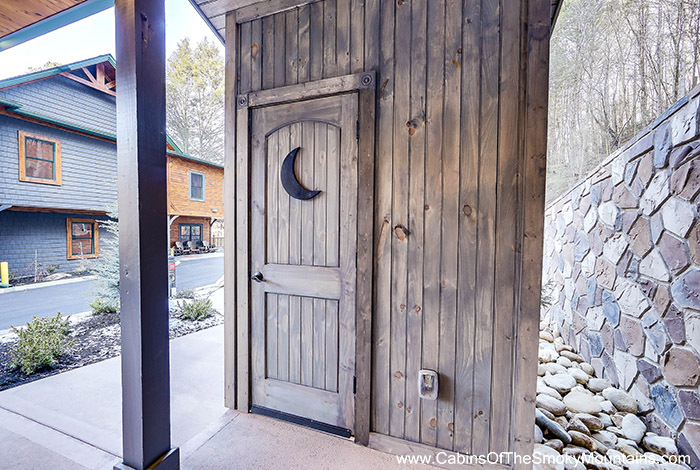 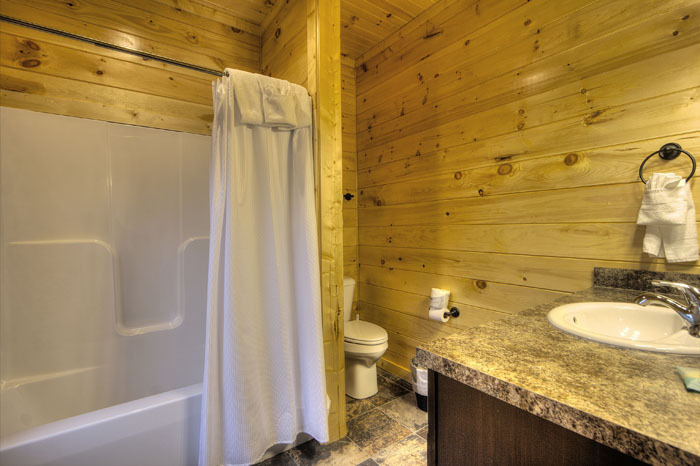 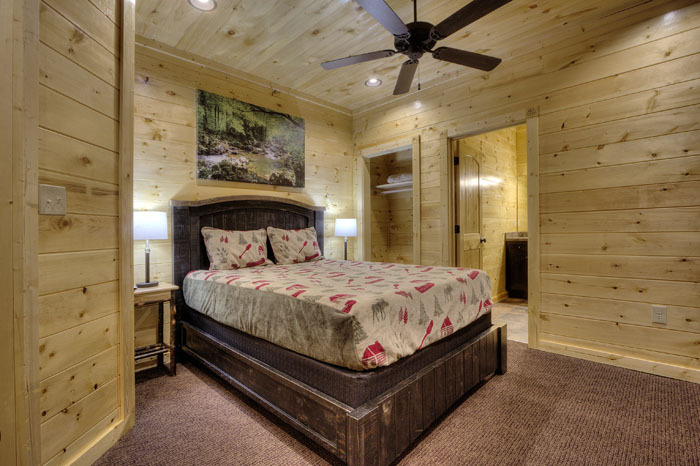 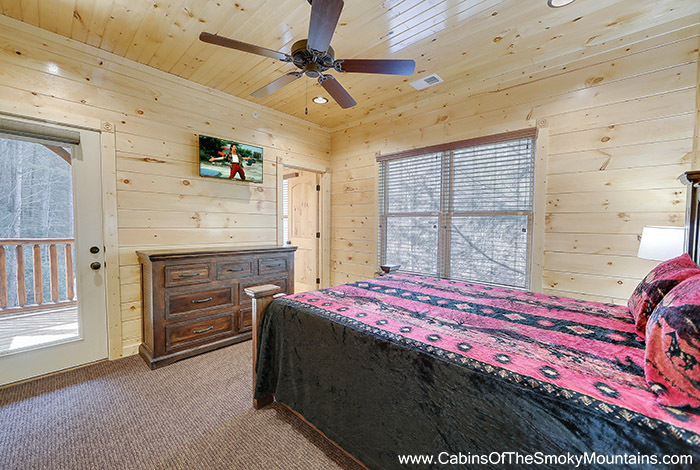 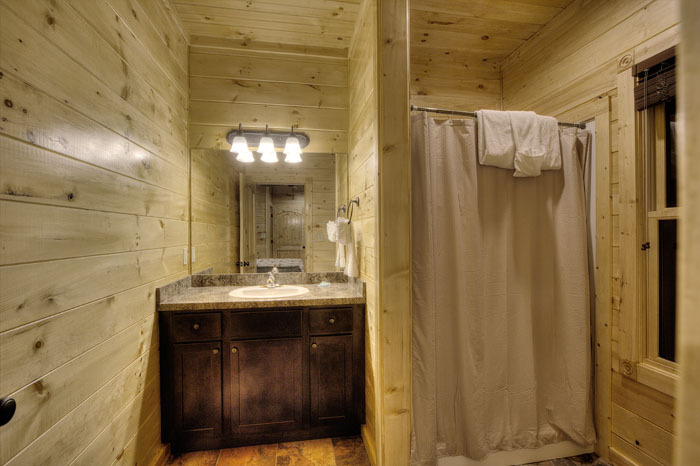 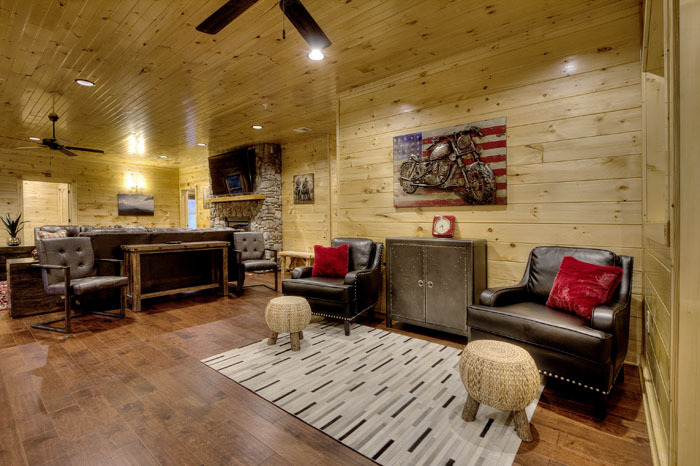 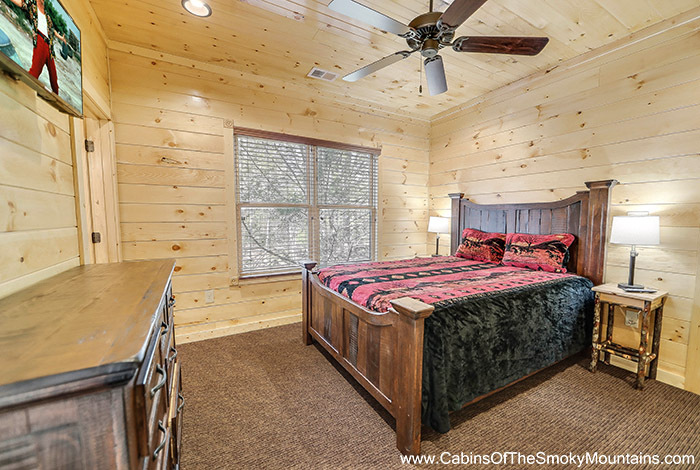 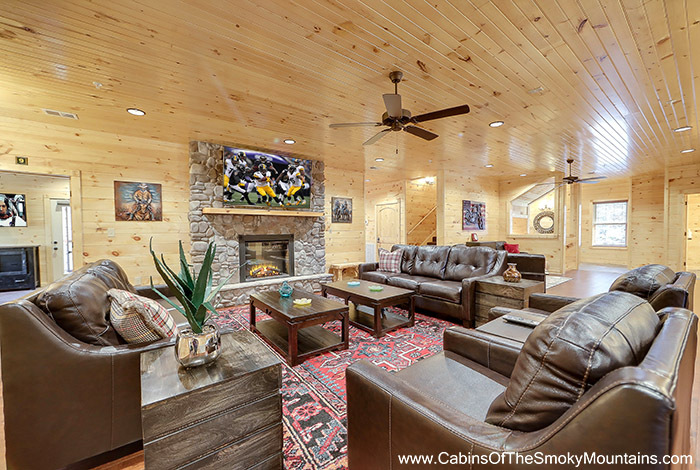 This cabin is located just minutes away from downtown Gatlinburg! 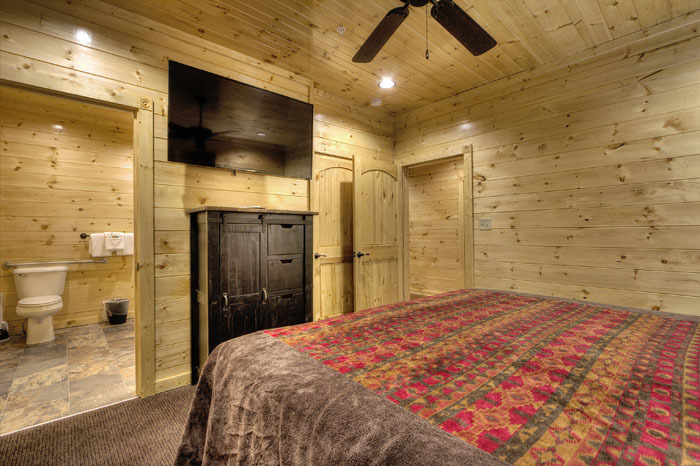 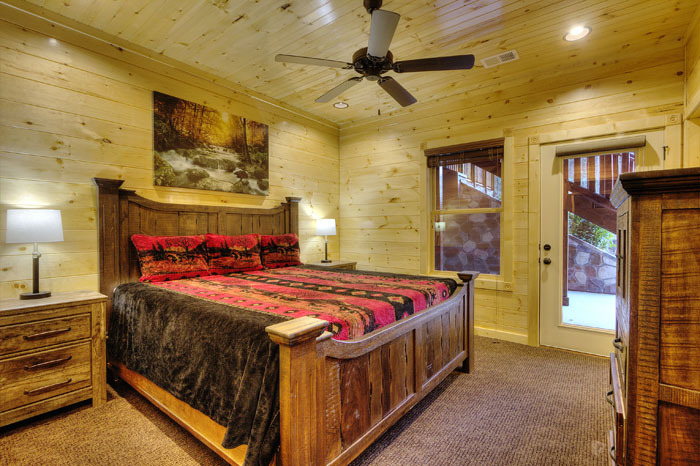 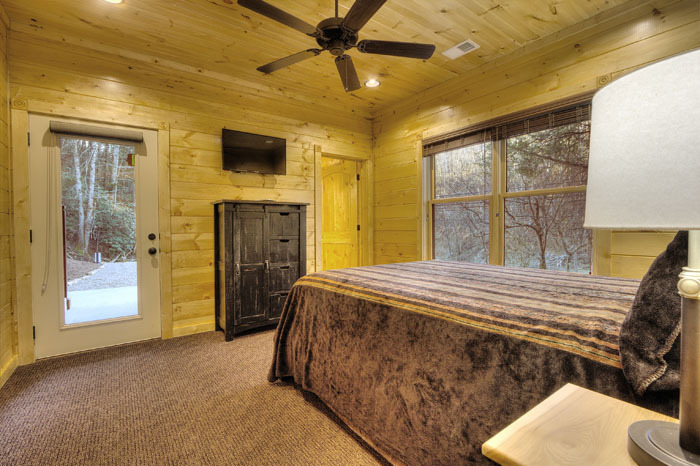 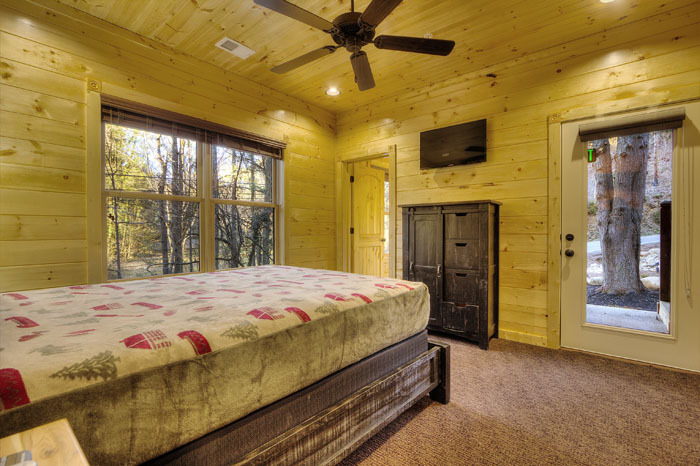 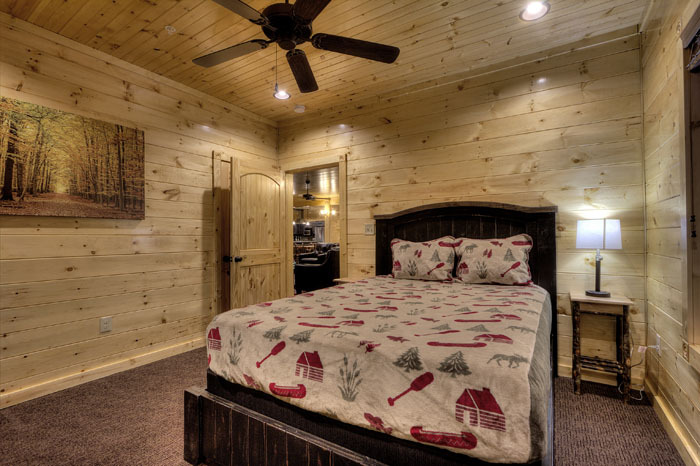 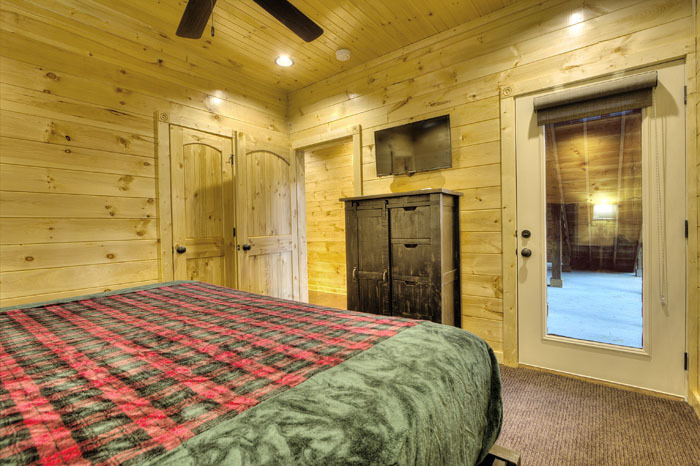 This cabin has 20 bedrooms and 20 bathrooms, and there's enough space for everyone to sit back and relax! 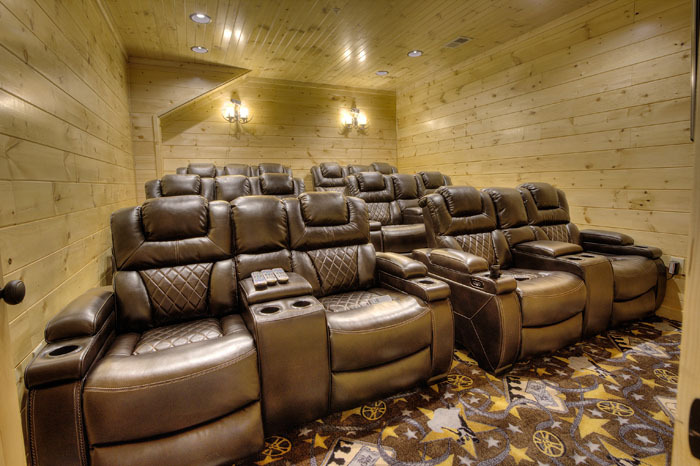 It has its very home theater, with the most comfortable seats, so you can watch movies with your family. 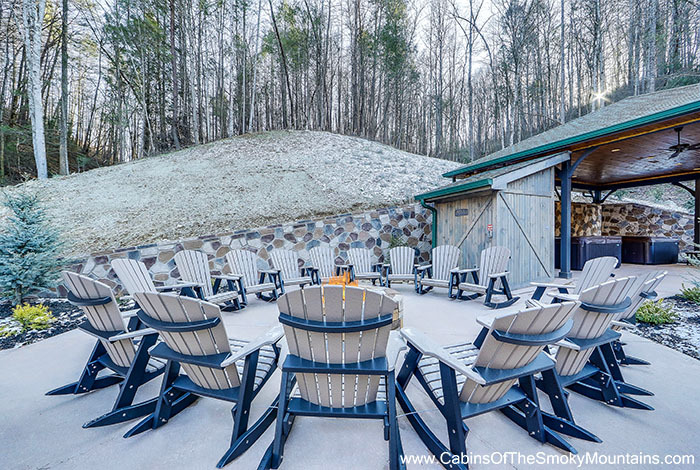 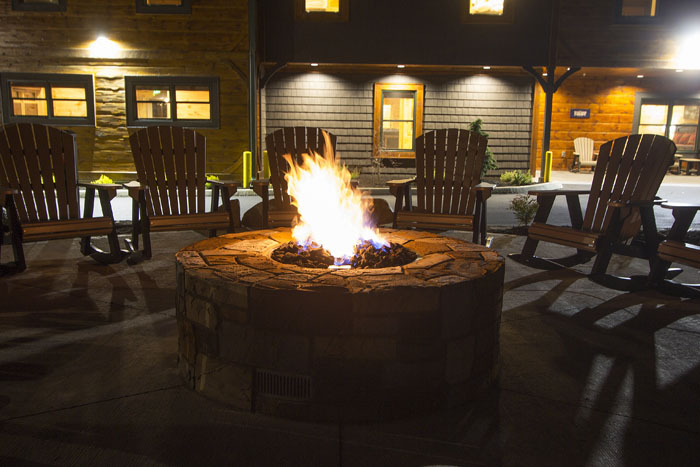 This cabin has it's very own fire pit in the back yard to roast marshmallows and cook hot dogs! 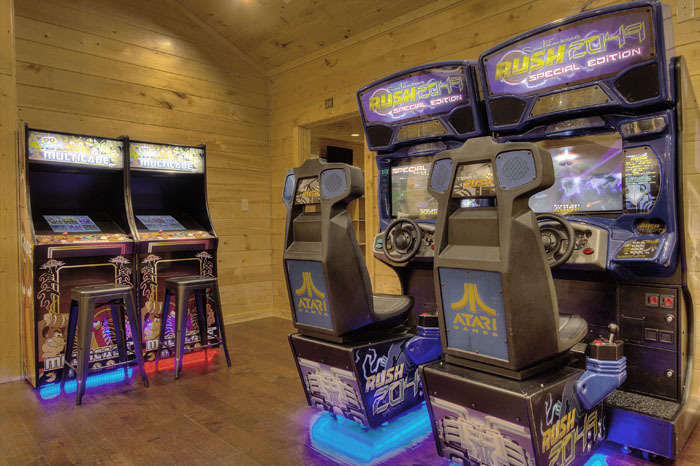 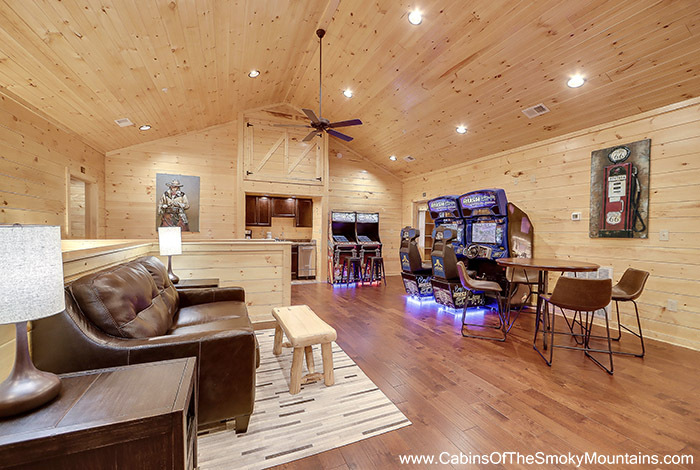 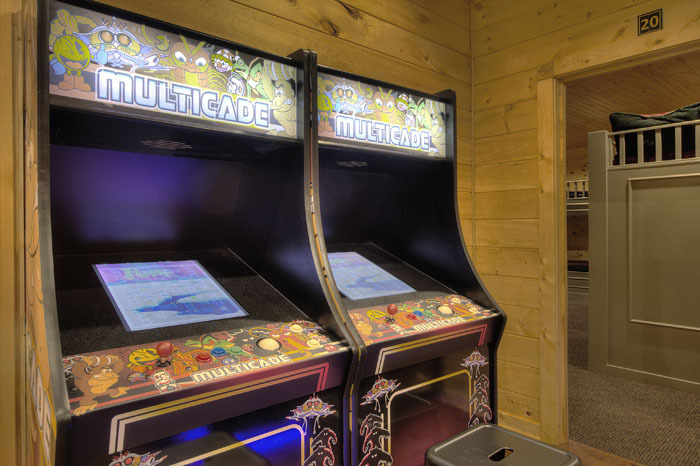 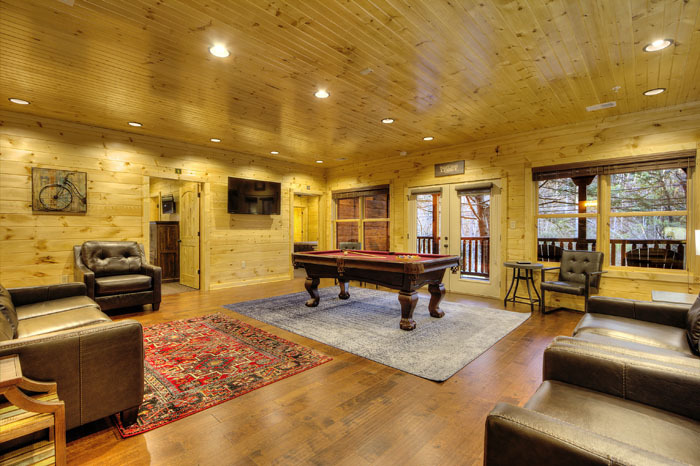 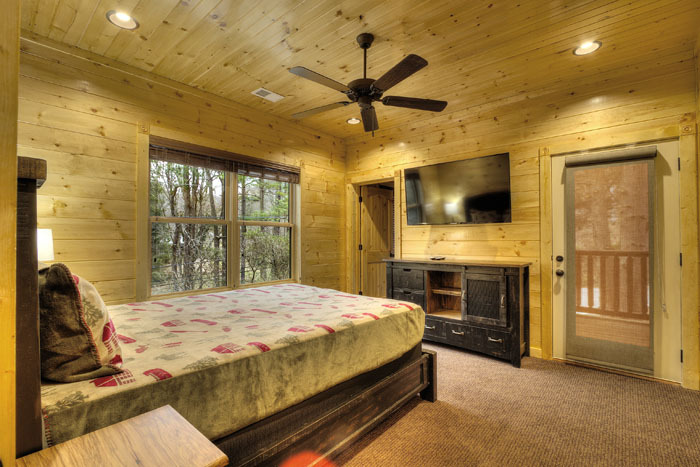 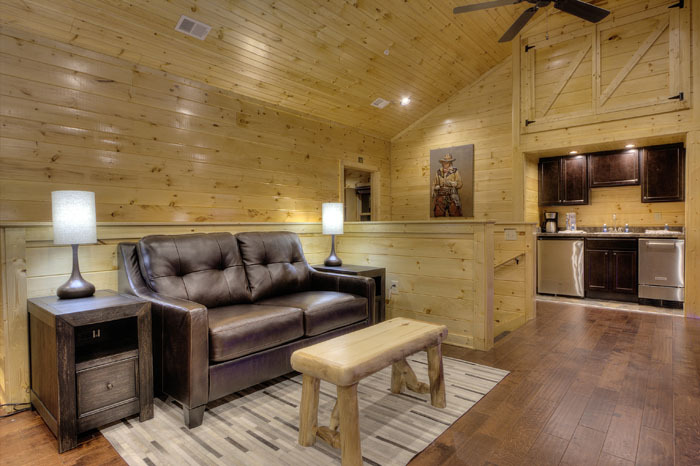 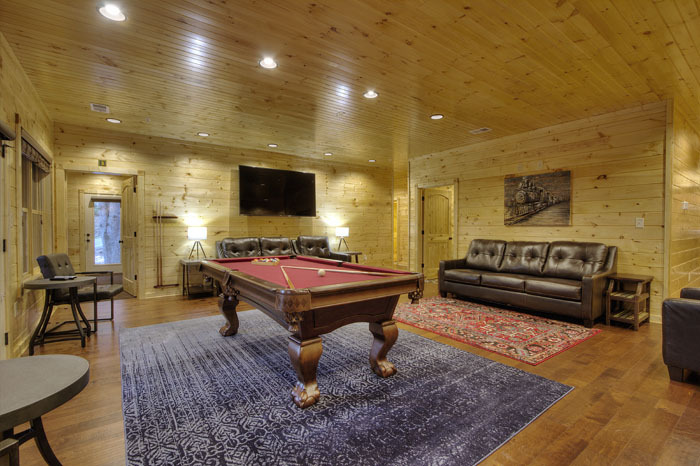 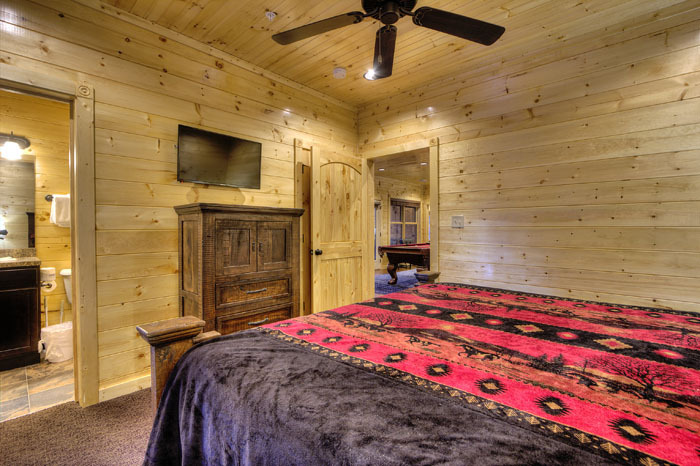 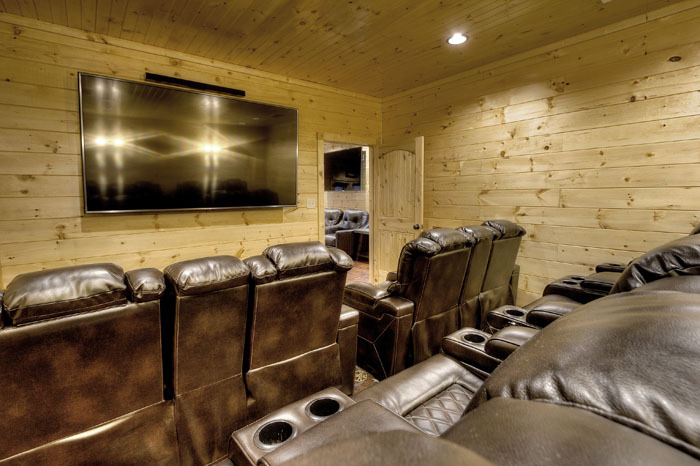 This cabin comes equipped with its very own game room with a Arcade Games, a San Francisco Rush 2049 Driving Simulator, and a pool table.Challenge you kids in a game of pool! 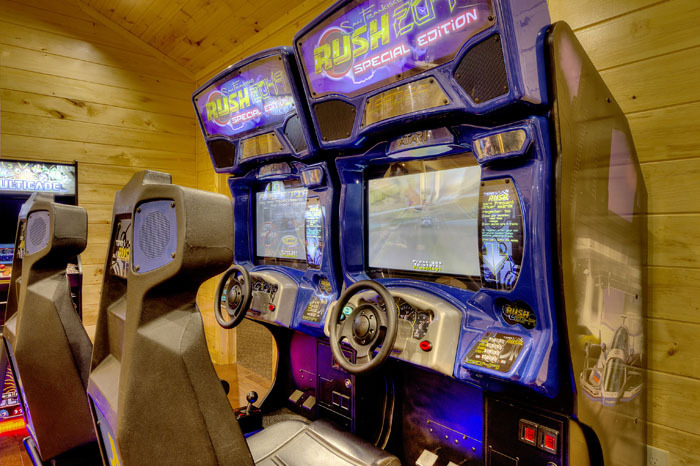 You might win, but the memories will last for forever. 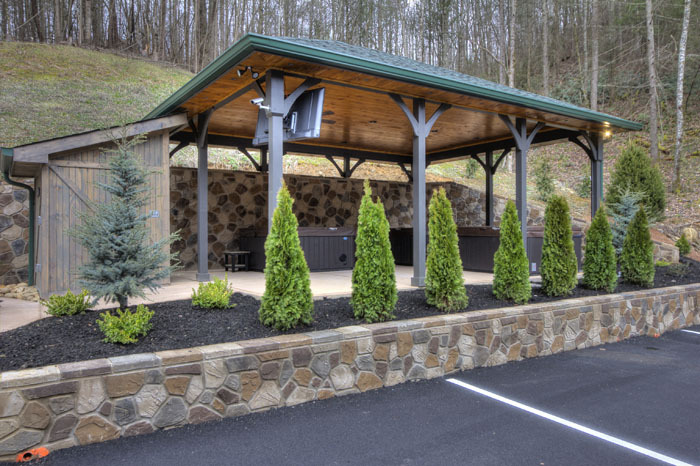 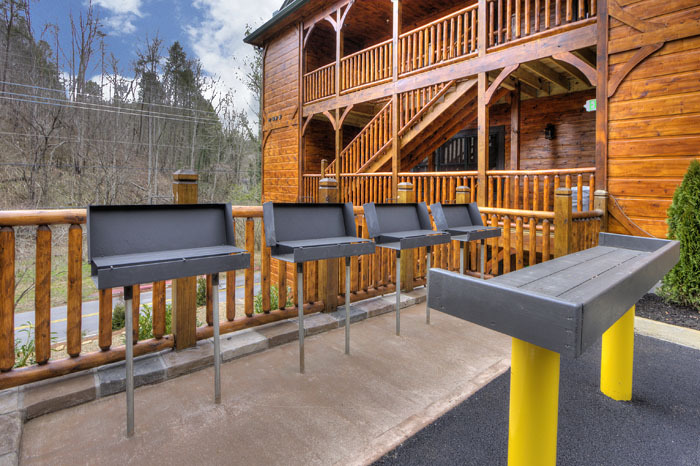 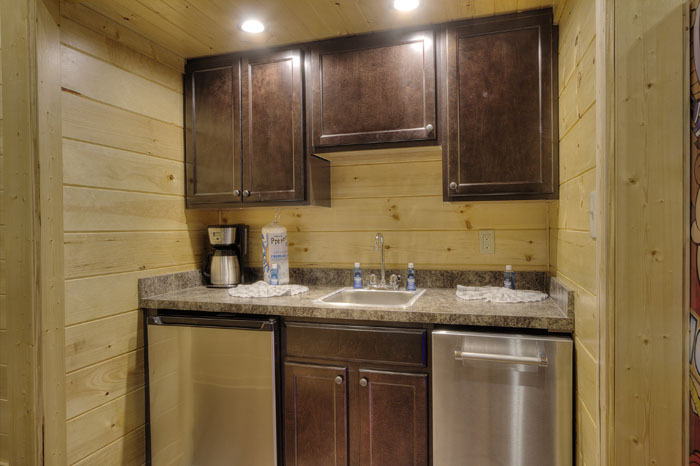 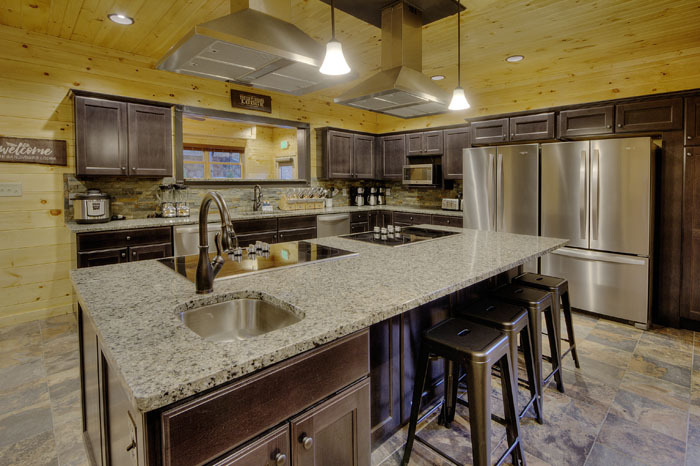 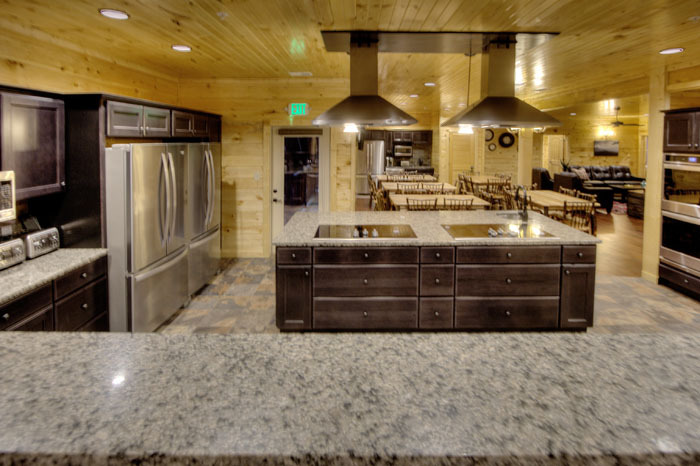 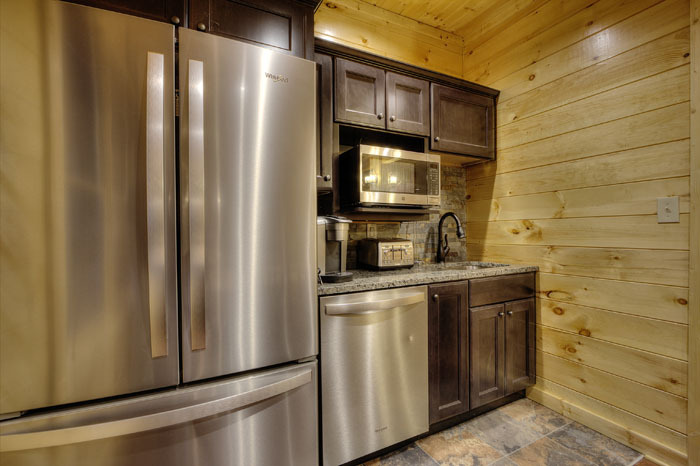 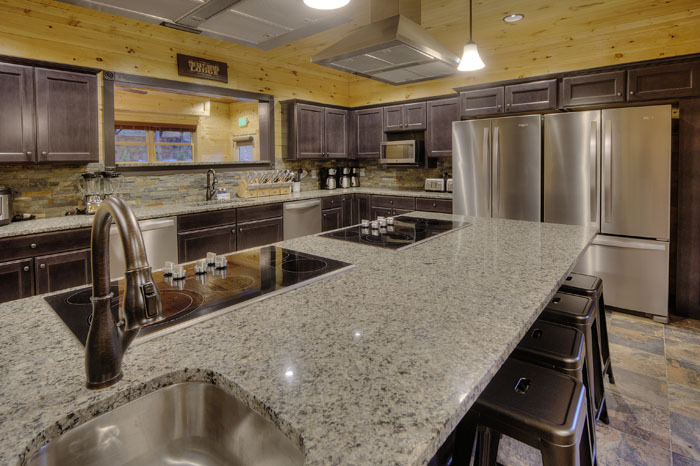 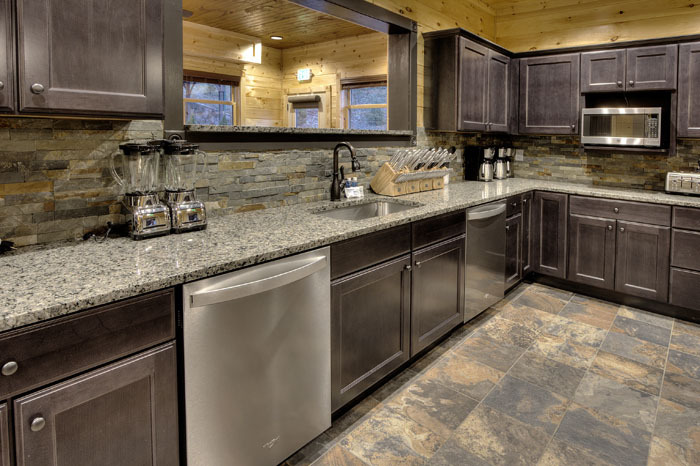 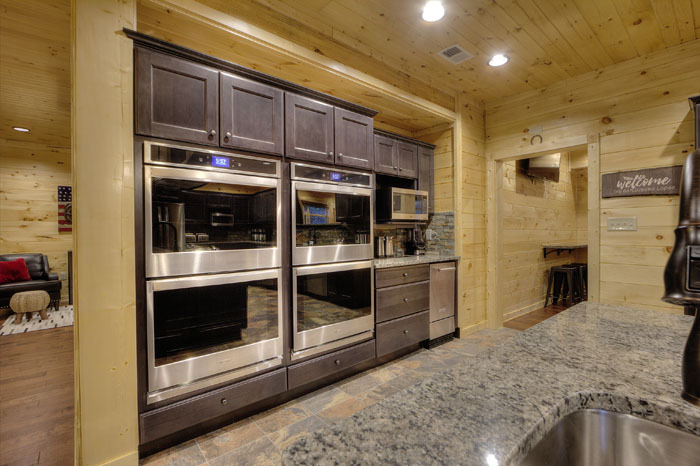 Smoky Mountain Escape comes equipped with a full kitchen and a charcoal BBQ grill for all of your cooking needs. 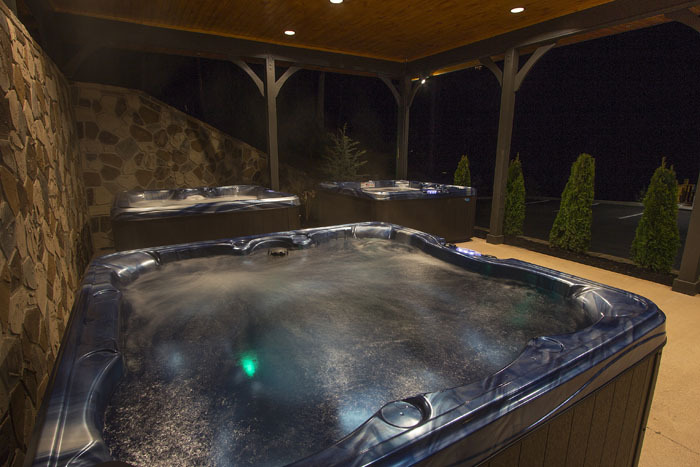 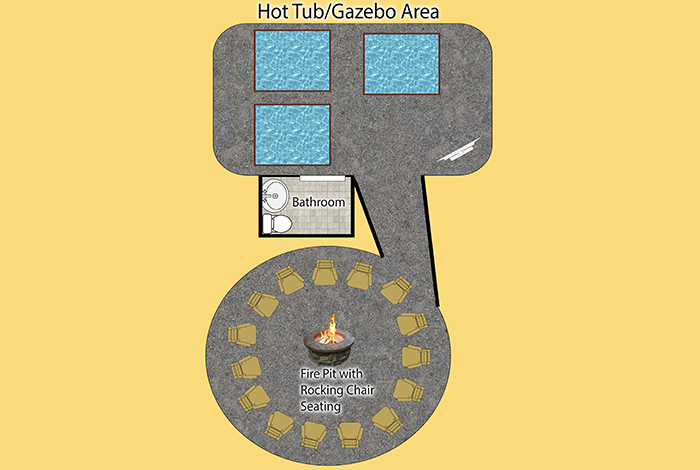 Watch the sunset while you enjoy a night in the hot tub with your friends and some wine! 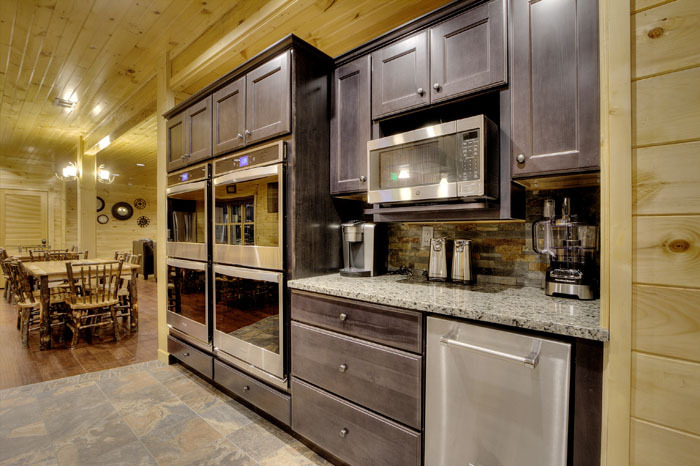 The options are endless and you will not be disappointed.